Miranda: Welcome! So excited for this interview, especially because you're well published. Tell us how you got there...well, not the whole story - but how long did it take? What were the challenges? Lisa: Like many writers, I’ve been at it most of my life. I didn’t get serious about publishing my work until January 1995. That is when I started gathering my rejections. It took nearly 4 years and over 200 rejections before I sold my first book. In the mean time I sold magazine stories, did some freelance writing, and tried to learn as much as I could. When I look at some early work compared to what finally sold, I realized that I had gotten better. Miranda: Yes you have! Award-winning. Your stories have won prizes and have been praised all over. Although I won't ask you to choose a favorite, which one was the one you had to revise the most? Lisa: Thanks for not asking me to choose a favorite! They’re like my kids and that could cause quite a ruckus in my household. 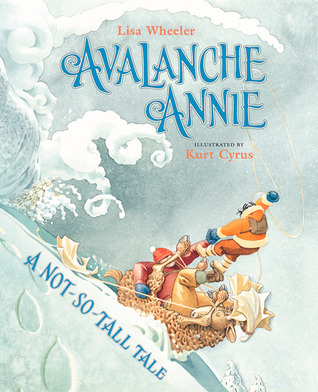 The book I revised the most was actually Avalanche Annie. It is still one of my favorites even though it was only in print for 1 ½ years. Many people have never seen it, but I get told by teachers that is has terrific verbs. I revised it for Michael Stearns whom at the time, was at Harcourt. He really made me see the story in a whole new way. I had to cut it, remove a secondary story plot that went nowhere, change the ending, and expand Annie’s battle with the avalanche. I still get a kick out of that book. Miranda: Thanks for sharing. I find it so interesting to know more about the 'behind the scenes' of a book. And with so many books, where on earth do the ideas come from? How long does it take to turn that idea into a polished story? Lisa: Ideas are everywhere! I think the more I write, the more in tune I am with new ideas. Although none of my books are a direct result of something that “really happened” every one of them is influenced by my reality. 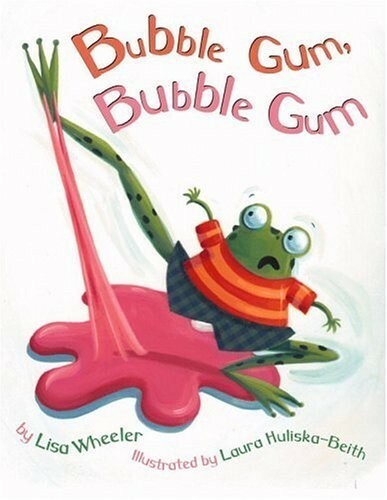 When my niece spit a piece of gum out of the car window, Bubble Gum, Bubble Gum was born. 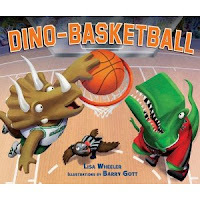 A dream I had about hockey playing dinosaurs resulted in Dino-Hockey and an entire sports series. Old Cricket came to be when an annoying cricket living in a shrub outside my bedroom kept ‘cricking’ all night. I am wired for children’s books. In my world, everything becomes anthropomorphic, from my little blue truck, Chuck, to my hand puppets, to my dog who regularly converses (through me) with others. Ideas are all in how you see the world. Miranda: Well said! Now, as someone who critiques a lot, what is something you see often that can hurt a manuscript? Since I only critique picture books, the most common thing I see is novels disguised as picture books. Many writers want to write a picture book but are geared to longer sentences, paragraphs, and ideas. 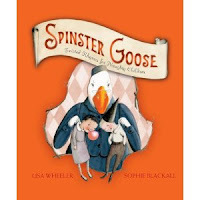 In most of these cases I suggest that the writer expand the picture book idea to become a chapter book. But in picture book manuscripts that are definitely meant to be picture books, the most common problem I come across is too much telling and not enough showing. 6) Let's talk rhyme. A lot of Rate Your Story submissions come in as rhyming children's picture books. Are you of the mind that people are "born rhymers" and others aren't? Rhyme is tricky. I often tell people who take my Picture Book Bootcamp that if you cannot rhyme—don’t. Yes, you can get better. But if you do not have an ear for meter or if you are not poetic, your poor rhyme is more likely to hurt your story than help it. 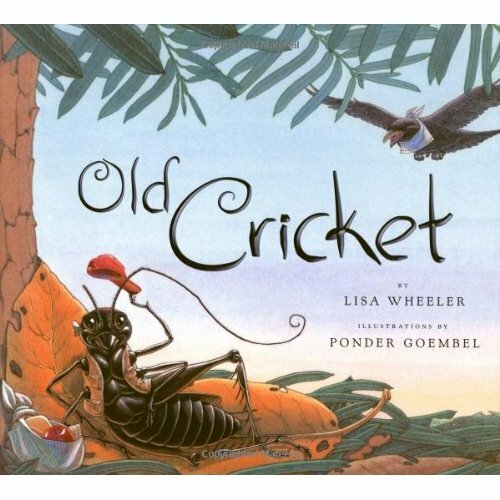 Rhyming picture books should be poetry—not just rhyming end lines. Try telling your story in a prose format if you struggle with rhyme. I also ask folks why they chose rhyme as the vehicle to carry their story. If the answer is. “Because kids like rhyme.” I cringe. That is not a good reason to rhyme, especially if you are not adept at it. Miranda: Great advice. So...I just finished reading Ugly Pie, so I'm going to ask you about that. In many ways, it breaks picture book norms such as mixing rhyme and prose and using an accelerated vocabulary. That said, it's a LOVELY published book! What PB rules or norms do you think are important to stick to, and which can be broken? Lisa: Every rule can, will, and has been broken. The trick is breaking it spectacularly! Truly creative people are rule-breakers and who am I to argue with success? If it works, it works. Economy of words—keep it tight. A strong beginning or set-up. Draw the reader in. Forward movement. In a picture book, every sentence needs to move the story forward. A strong ending. Does your ending make readers want to read it again? Miranda: Great advice. These days I feel like children's authors need as much advice as possible since the industry is difficult for newbies. What encouragement do you have for pre-published authors? Lisa: You can’t throw in the towel. You just have to keep on doing what you do: writing, revising, learning, re-writing, etc. Even though I have had the good fortune to publish many books, I still collect my rejections—more than acceptances by far! In short, the only thing we have complete control of in this crazy business is our manuscripts while they are in our hot little hands. Once we send them out into the world we cannot control what happens. So in order to up your chances of publication, make sure that manuscript is as absolutely good as it can get before you send it out. That is your real power! Miranda: Thank you so much for sharing that, Lisa. I know that many assume once you're published, you'll never see another rejection. It's sobering to know that the challenge and the rejections will keep coming. Let's hope we can all stay encouraged. I appreciate all that you contribute to Rate Your Story! We really love having you. I'm sure that many of our readers will want to check out your books, your site, and learn more about your Picture Book Bootcamp at www.lisawheelerbooks.com! Author and Editor Sharon Verbeten! Sharon Verbeten is a writer, author, editor, creative thinker, mentor, children's librarian and, not least of all, mom. An editor/journalist for more than 25 years, she is currently the owner/editorial director of her freelance writing/editing company All Write Creative Services in De Pere, Wis. She writes non-fiction magazine articles, primarily for national trade publications (in fields as interesting and diverse as library science, funeral service and waste management). She is the author of The Best of Barbie (2001, Krause Publications) and contributor to several other books on toys and antiques. And, oh yeah, she also is mom to a very active, very social 5-year-old daughter. Miranda: Welcome, Sharon! You're portfolio is so impressive. As a writer, you're a stellar example of breaking into big markets. And, on the editor side of things...you reject or accept submissions all the time. Tell us what makes writing publishable or rejection worthy? Sharon: As a writer and editor, I've been on both sides of the writing game. This has proven extremely valuable to me as a writer because I can understand both sides of a transaction. Here are several cardinal rules that will, in my opinion, always make me reject (or not even read further) a submission. a. Not proofreading a cover letter or submission. Errors tell me you don't care enough about your own writing to perfect it. If you don't care, why should I? b. Submitting tired or cliche submissions. To be a good writer, write. To be a great writer, read. It's quite true. The more you read, the more you will be exposed to other types of writing and other ways to say things. But it will also help you be more original and not submit the same thing that's already been done. Miranda: Great advice. So, we want the reader to care and we want to show the overworked editor something original. Now, let's take off your editor's hat and talk to you as a children's librarian, since we've got a lot of children's story submissions lately -- can you tell us what makes a story ideal for young audiences? Miranda: I find that works too. My son is currently in love with Meet Jack Truck because Max jumps over old toilets and says "Look, I'm a pottyhead!" But...that brings up the point that some of those things might be overdone or overused. You must see it everyday as a librarian at a pretty sizeable children's library. Do you find that there are devices or topics overused in children's lit? Sharon: Well, everyone thinks they can rhyme like Dr. Seuss, so I'm not a big fan of rhyming text--nothing seems to measure up to the master. 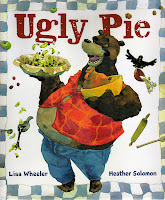 I also cringe at books that tend to be too overly didactic--picture books can tell messages and teach lessons--albeit subtly. And I've never been impressed by most of the children's books written by "celebrities." Authors often can't act, and vice versa. Miranda: Well said. So, what are your favorite children's books? Sharon: From my childhood, I remember Little Golden Books and getting very excited every time we'd go to the store--I'd beg my mom for a new fresh one with the golden foil spine. My favorites were Mister Dog and The Color Kittens, still around today. Today, I wouldn't call them exactly "literature," but that didn't matter--what mattered was they drew me in and made me a reader. Today, I'm a bit more discerning when I read children's books. My favorite children's author remains Maurice Sendak (Where the Wild Things Are, etc. ), and newer picture book author Mo Willems is my current favorite. In terms of children's fiction, I love Neil Gaiman and Kate DiCamillo. Miranda: Thanks for sharing. And, since you attend national conferences every year and do a lot of book reviews, I bet you rub elbows with some of these celeb. authors and illustrators. True? Who have you met? Sharon: Several years ago, I visited the Milwaukee Art Museum to do a feature on the art of children's book author/illustrator Lois Ehlert; she met me at the museum for the interview and was delightful and then invited me to her home studio across the street. She was most generous and warm in sharing her personal work and stories. Her books and her collage style artwork are perennial favorites of mine. And, as editor of Children and Libraries magazine, I get to meet many authors at the American Library Association conventions each year. My most touching meeting was this past January meeting Kim Edwards, author of The Memory Keeper's Daughter--a novel that features a child with Down syndrome. As a parent of a child with Down syndrome, I thanked her for her brave and authentic story, and I teared up as she signed a copy of the book for my daughter, Holland. I love meeting authors--in my experience, they have always been warm and down-to-earth. Miranda: Lovely! So...if any of our readers who are freelance writers plan on submitting to you for Children and Libraries or the other publications you edit...what is one piece of advice you've got for them before submitting (to you or anyone!)? Sharon: I'll say it again--PROOFREAD, PROOFREAD, PROOFREAD...and, with apologies to Nike, don't be afraid, JUST DO IT! Miranda: Great! Now, I better go back and proofread this transcript...eek! Thank you so much for all you do to help bring an editor's perspective to the judging at Rate Your Story. I hope our audience will link up with your page on Facebook (All Write Creative Services) and learn more about your publications as an editor and writer. Comments are open below -- and there's a new poll on the sidebar - what rating would you give US at Rate Your Story? I'm going outside to play in this amazing weather and hopefully when I return, you've all commented and rated us well...Ciao! 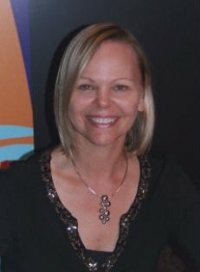 Kelly Hashway writes young adult and middle grade fiction and is represented by Lauren Hammond of ADA Management. Her debut YA, TOUCH OF DEATH, releases January 2013 through Spencer Hill Press. 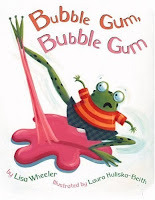 In addition to YA and MG books, Kelly is the author of three picture books, with five more titles on the way. Miranda: Welcome, Kelly! Now, I’ve “known” you for quite some time, but our readers might not be aware that before you landed your recent 2-book contract, you wrote (and published) a TON of short stories and a few picture books. So tell us...how important do you feel it is for young writers to get their name out there and write short stories before delving into a full novel? Kelly: First of all, I never thought I'd write short stories. I only wanted to write novels, but when I finally gave in, I realized writing short stories can really help you learn to be a better writer. You have to fit all the necessary elements of a story into a small space, and that takes practice. Publishing those stories and my picture books gave me confidence and put my name out there so I could begin building my platform. All of these things are positives, so I would suggest that young writers pursue short fiction before trying to tackle a novel. Miranda: And where online can we read some of those stories to be inspired? Kelly: I've been published by online sites like, Super Teacher Worksheets, Stories for Children, Guardian Angel Kids, Stories that Lift, Spaceports & Spidersilk, and Bumples Magazine. Miranda: Well, now that you have validation via publication credits...you’re probably pretty confident. But let’s back up to earlier writing...have you ever written anything that you think might get a 10 rating on Rate Your Story (the worst)? If so, were you able to revise? Kelly: Definitely! I think everyone has at least one piece that is better kept hidden. ;) I have taken some poorly crafted stories and revised them after much time away, and some have been published. Others I've come to terms with just being written for the sake of exercising my writing muscle. Miranda: Like that...exercising muscle. Only one, though? :) Let’s hear more about that exercise. Tell the writers here more about your revision process. Do you have a critique group? Do you self-edit? Kelly: Every piece I write (especially novels) is different. For some I've revised as I drafted. Others I've fast drafted and then gone back to do a lot of revising later. Since I'm a former language arts teacher, I take self-editing very seriously. I revise on screen several times before printing the manuscript out and revising in print. I look for different things with each run through, and I've been known to use a lot of colored post-it flags and pens along the way. I also have a critique group and beta readers who help get my stuff in shape, and of course my agent edits all my novels before they go out on submission. Miranda: Not only do you do a lot of revision of your own stories, but I know that you critique a lot of stories. What's the most common comment you have to make? Kelly: Show. Don't tell. If you can show us what your characters are doing and feeling through actions and gestures, it's so much more powerful than telling your reader what's happening. Miranda: Okay...beyond the writing now...you know as well as anyone that we writers cannot just write anymore...we’ve got to think business. And Kelly, you're a shining example of platform building. Can you tell the pre-published writers who visit our site more about what that is and why it might be important if you're a new writer? Kelly: Well, thank you! Building your platform is important for two main reasons. The obvious one is that it gets your name out there and makes people aware of the fact that you are a writer, so when your work comes out, you have a built-in audience. But the second reason, which is also my favorite, is building your platform connects you to other writers. This industry is tough and writers need the support and guidance of other writers. I'm a firm believer in helping each other out. That's also a great way to make your platform bigger. The more writers you know, the more readers you will find. Miranda: Lastly - as an author and a mother - any tips for writers with busy lives (and how to get it all done)? There seem to be a lot of busy people submitting to Rate Your Story. Kelly: Schedule time to write. If you want writing to be a career and not just a hobby, then you have to treat it like any other job. You go to work everyday at a certain time. Believe it or not, you can train yourself to be creative at specific times of the day. And the other great thing is that if people know you write from 7-9pm, they learn to give you time to yourself from 7-9pm. Set a schedule and stick to it. Miranda: Great advice. Where can we learn a lot more about you and your fantastic, gripping writing? Miranda: Thanks for all you do for Rate Your Story and for taking the time to share such valuable information with our readers! A Note: Because of my trip delay, I've pushed back our Author Interview Schedule by one week. Sorry for any inconvenience, and I hope you'll come back next week to learn more about Editor Sharon Verbeten!